UNDRIP – it’s coming eventually. Here’s what it means for you. This is a story about the culmination of specific events and leadership across time that are now coming together in this ‘ah ha’ moment in time. It is in this ‘ah ha’ moment where it is now possible to both see and to feel the rationale for what was previously disregarded as a series of disconnected pieces. What is this ‘ah ha’ moment? It is the commitment to the implementation of the United Nations Declaration on the Rights of Indigenous Peoples in British Columbia (UNDRIP). This is it! UNDRIP is an international instrument adopted by the United Nations in September 2007. UNDRIP upholds the rights that form the minimum standards for the survival, dignity, and well-being of the Indigenous peoples of the world. The outcome of over 25 years of development by UN member states and Indigenous groups, the Declaration elaborates on existing human rights standards and fundamental freedoms as can be applied to the specific situation(s) of Indigenous peoples around the world. UNDRIP is best understood as a framework to protect collective rights that have not been addressed in other human rights charters. This is an essential distinction of the unique rights of Indigenous peoples that have not been previously recognized. In summary: a long phase of complete opposition, then endorsed, now deemed “unworkable” by this current federal government, and to date has not yet been ratified. Upon the initial adoption of UNDRIP, of all the voting countries there were only four opposing votes: the United States, Australia, New Zealand, and Canada. In February 2019, the B.C. government in its throne speech committed to be the first province in Canada to implement UNDRIP into legislation. The B.C. government announced its plans to introduce legislation for implementation. Wonderful words. But what does it really mean? The Declaration includes 46 articles which establish the requirement for the recognition of the basic human rights of Indigenous peoples, including self-determination. In particular, Article 32 is of central importance to Indigenous leadership – and lately, of Canadian headlines. It provides the direction to obtain free, prior, and informed consent (FPIC) from Indigenous groups before approving resource projects that would affect their lands or territories. “For too long uncertainty on the land base has led to investment decisions being foregone, and I believe that that hurts Indigenous people and it hurts other British Columbians,” said Horgan. What can the implementation of UNDRIP mean in BC? Look at the most recent conflicts with Indigenous groups in BC, including the current standoff between the Unist’ot’en clan and the Coastal GasLink Pipeline. Whatever you think of the Unist’ot’en or the LNG pipeline project, the situation led to a military-style RCMP raid, and the arrest of unarmed Indigenous women and elders. Again, whether or not you believe the project should go ahead – or in Indigenous title rights – nobody wants to see elders being arrested. Something has to change. The standoff and arrests did lead to high profile media attention, and intense public discourse on Indigenous rights. BC has been riddled with case after case tested by Indigenous groups seeking recognition, with only the courts to turn to for resolution. Indigenous leaders have gathered on courthouse steps time and time again, the drumbeat and the songs consistently protesting of the lack of free, prior, and informed consent. So: can it be done? 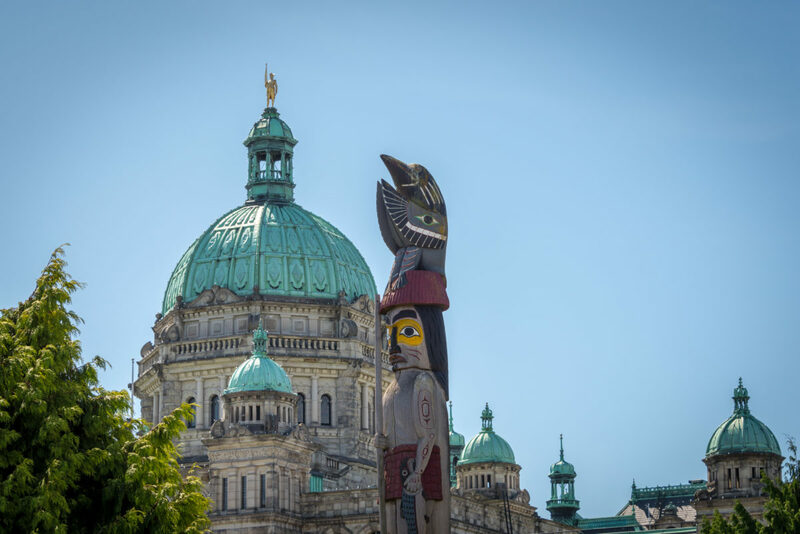 Can British Columbia push the UNDRIP agenda – and actually implement it? At play here is a clear pivot towards Indigenous inclusion in forestry, mining, oil and gas, as well as the processes for land and marine use planning. It doesn’t have to be about just saying no – but getting in on the ground floor to make sure projects work with local values, priorities, and (hopefully) growing economies. Indigenous jurisdiction and authority can form economic benefits that flow to the Nations from activities taking place on their traditional territories. This is the coming together of the pieces, previously disregarded, now expressed through UNDRIP. Is this the time we will collectively understand the importance of the Indigenous relationship to this country and this province? This is a power moment! This is Indigenomics. Carol Anne Hilton, MBA is the CEO and Founder of The Indigenomics Institute. 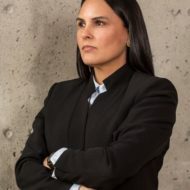 Carol Anne is a recognized national Indigenous business leader and senior adviser with an international Masters Degree in Business Management (MBA) from the University of Hertfordshire, England. Carol Anne is of Nuu chah nulth descent from the Hesquiaht Nation on Vancouver Island.